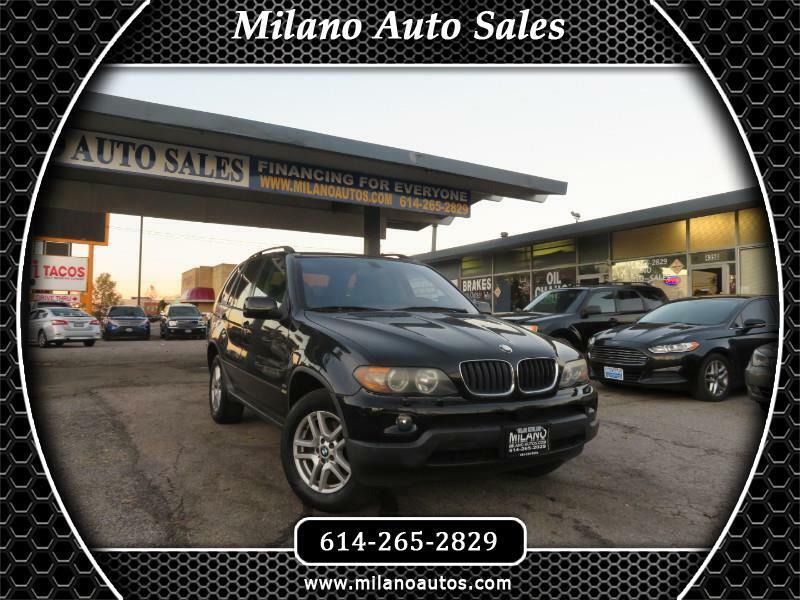 *INTERNET PRICES ARE CASH PRICES ONLY WE FINANCE EVERYONE Visit Milano Auto Sales online at WWW.MILANOAUTOS.COM to see more pictures of this vehicle or call us at( 614)265-2829 today to schedule your test drive. PLEASE CALL US FOR MORE INFO MON-SAT - 10.00AM-7.00PM. . call for APPOINTMENT THANKS FOR LOOKING.. *NOTICE: PRICES DO NOT INCLUDE ADDITIONAL FEES SUCH AS GOVERNMENT FEES AND TAXES, TITLE AND REGISTRATION FEES, FINANCE CHARGES, DEALER DOCUMENT PREPARATION FEES, PROCESSING FEES, AND EMISSION TESTING AND COMPLIANCE CHARGES. INTERNET PRICING MAY NOT BE COMPATIBLE WITH DEALER SUBSIDIZED SUBPRIME FINANCING CALL FOR APPOINTMENT THANKS FOR LOOKING. Message: Thought you might be interested in this 2006 BMW X5.